Classified closes: 26 April 2019 07:00 p.m.
Only members who've verified their contact details can bid amount higher than $5000. Please click here to begin this process. Only members who've verified their contact details can bid on this item. Please click hereto begin this process. Only members who've verified their contact details can purchase items using ‘Buy Now’ for listings with amount higher than $5000.. Please click here to begin this process. 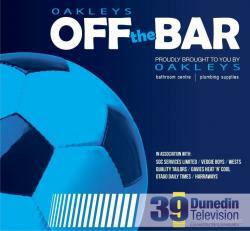 Coverage of local junior soccer matches, with profiles on Dunedin clubs. Episodes available: Game 1 - Dunedin Tech vs GI Hurricanes Game 2 - Northern White vs Hereweka Sharks Game 3 - Melchester Sannum vs Maori Hill Red Knights Game 4 - Maori Hill vs Dunedin Tech Game 5 - Mosgiel vs Grants Braes Game 6 - Harbourside Motorheads vs Roslyn Wakari Rustlers Game 7 - GI Gladiators vs Maori Hill 15th Gold Game 8 - Mosgiel vs Melchester Game 9 - Roslyn Rovers vs GI Avengers Game 10 - Mornington Mafia vs Melchester United Game 11 - Hereweka Falcons vs Grant Braes Game 12 - Northern Black vs Grants Braes Game 13 - GI Hurricanes vs Maori Hill Red Knights Game 14 - Grants Braes Falcons vs Maori Hill Silver Game 15 - 2014 Mini World Cup - please see our other listings for this item. Each episode is sold separately. Please let us know which episode you'd like when you confirm your purchase. There have been no questions about this listing. Click here to learn more about reporting a listing.